Check out these Peruvian feathered friends! 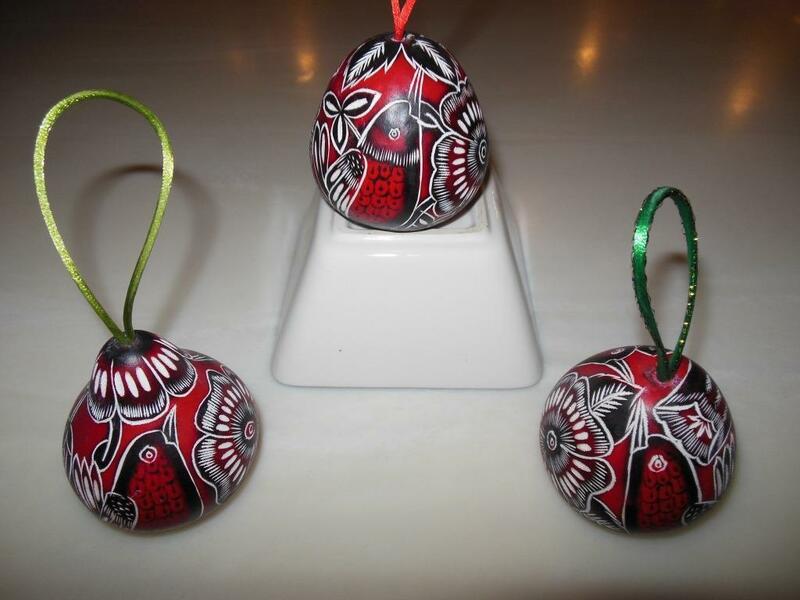 Aunt Geri here, with Momma, admiring the hand carved gourd Christmas ornaments we’re packing to take to the Holiday Craft Show this Saturday. They’re incredibly cute! They are hand made in Peru by local artisans using wood burning and hand carving techniques. 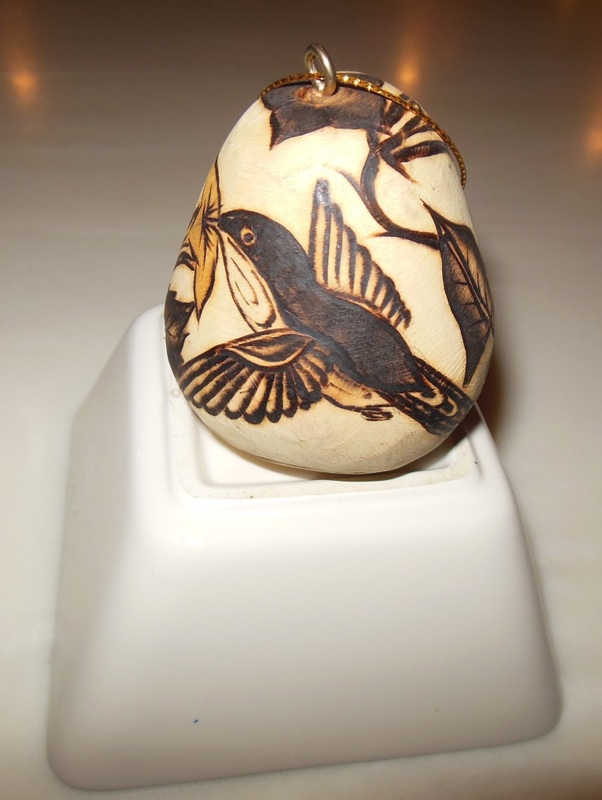 All of the ornaments depict Peruvian nature by showing local birds, butterflies and flowers. 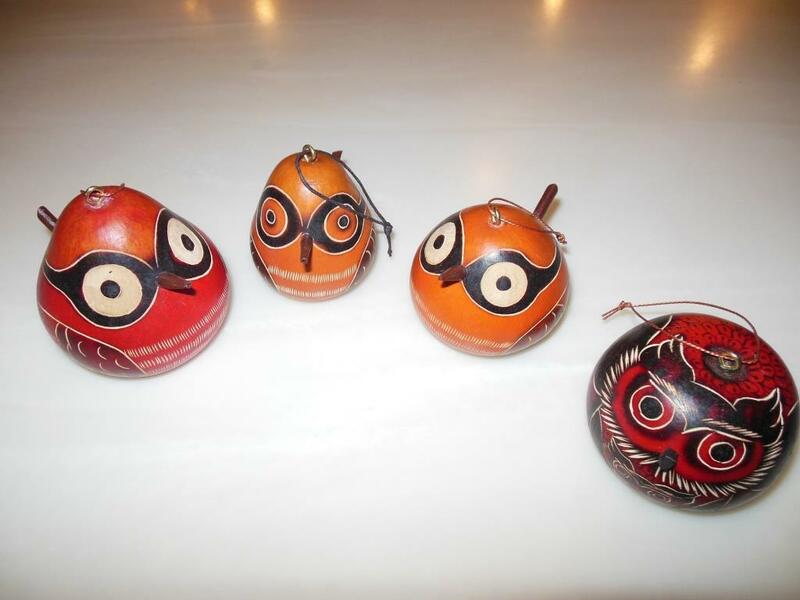 Take one or more home with you to adorn your holiday tree before they migrate south. 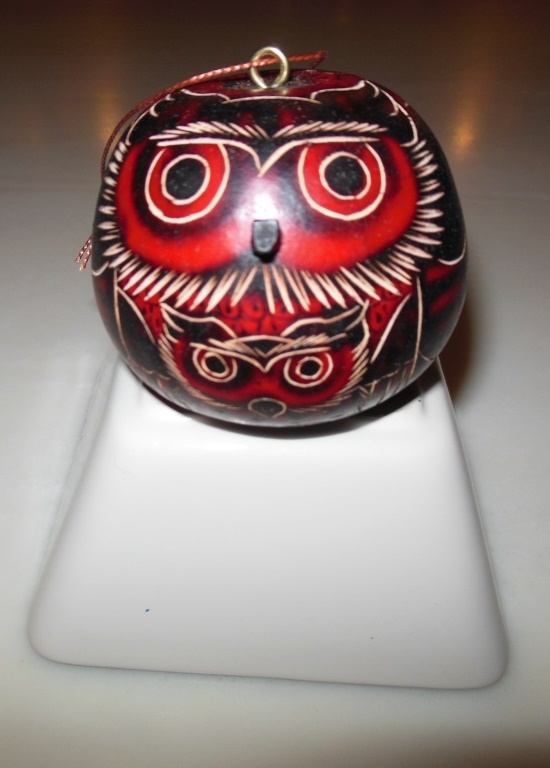 This entry was posted in Fashion and tagged birds, Christmas, craft show, holidays, Ornaments, owls, Peru. Bookmark the permalink. Wow, these are super nice!